All our vehicles are fully equipped will all tools and equipment necessary for our employees to maintain efficient work practices. All our employees are well versed in safety requirements and practice and all health safety regulations. All employees hold red cards. 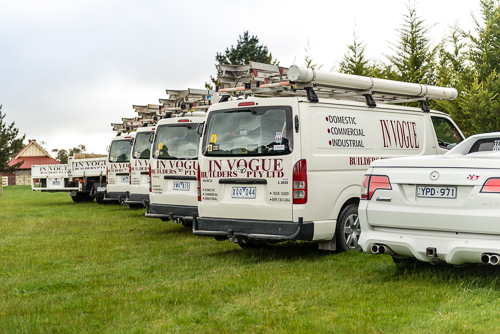 In Vogue Builders are your expert Melbourne Home Builders with over 30 years experience. Need to make a bigger lounge room? Convert your existing rooms into new spaces to suit the way you want to live! Running out of room? Add another one! We are experts in Melbourne Home Extensions. Give your old home a facelift and new functionality with our home refurbishment services. Our experienced painters will finish off any building project to an incredibly high standard.